mouse medicine: k is for kaboom! koicidentally I snapped today's wall last summer when we ventured to kollinwood where we attended a fundraiser for feral kats. sunday f and I went to see the film kill the irishman. the movie opened friday in cleveland, new york and los angeles -- I expect if there is a KABOOM in these box offices, kill the irishman will soon open in theaters everywhere! Our ever-striving region actually topped the nation in something in 1976, though it was a dubious distinction: No. 1 in bombings. There were 37 in Cuyahoga County, including 21 in Cleveland. Car bombs were relatively cheap to make, easy to plant, could be detonated from afar, and destroyed lots of evidence. the story of the film revolves around danny greene, a cleveland mobster, kirca 1960s-1970s, although fictionalized, the film sticks fairly klosely to the real life saga of danny. danny was the target of multiple attempts on his life, including two bombings. however, the wall featured today kommemorates the first bombing - that bomb kollapsed his house on waterloo avenue in kollingwood and killed two of his kats, but miraculously danny and his girlfriend denise survived the bombing. enough about bombs and killing. what do you get when you kross a kit kat bar with a kouple of squirrels -- 45 seconds of pure kookiness! photo: mural by christopher diehl and associates at 15803 waterloo avenue, cleveland. august 2010; ms t and baby bingo @ casa mouse, 15 march 2011. I love the c's becoming k's! 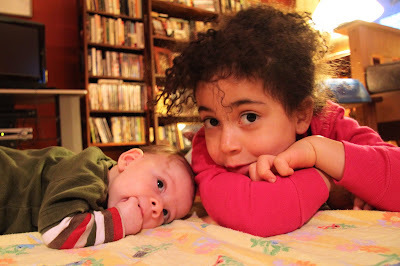 And the kids are adorable! I love how baby bingo is enjoying his fist! What sweeties! They both look like they get lots of hugs...happy....!! I really related to the quote by Kathleen Norris. I've been on this frequency today with a post set to air on Friday. I'm getting an Irish feel here today. Happy St. Paddy's day to you. It's weird but I'm feeling kaboom all around me. It seems everything that turns up at the box office lately is full of kabooms and little dialogue. Glad this one has some substance. Stop by the place and check out some sites to help the kats of Japan...thank you. You find the best walls ever. 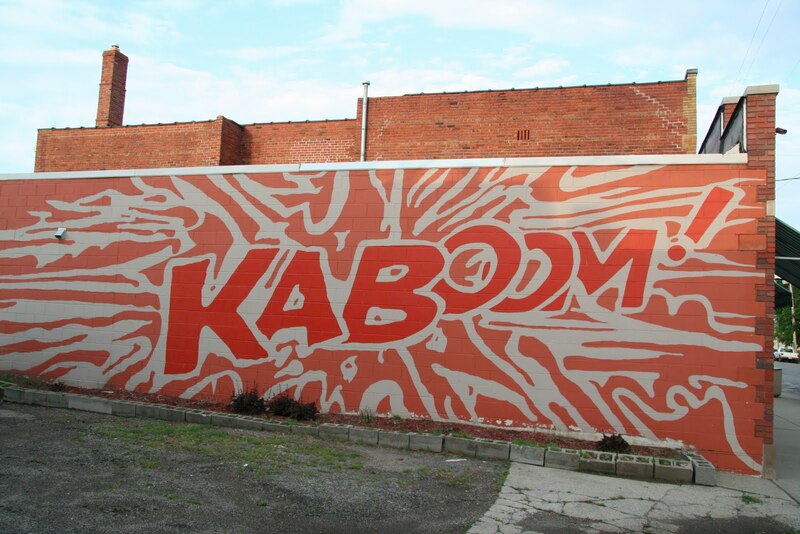 AWESOME PIC OF THE KABOOM WALL. PLEASE VISIT MY WEBSITE AT WWW.CLEVELANDSTREETART.COM. FEEL FREE TO SUBMIT SOME AWESOME PICS.